How to quickly get your church to read the Bible together? How can your church get people instantly connected to a Bible reading plan so that your entire church can read the Bible together? H2O.Church in Ada, Oklahoma, found their solution in using the domain name H2OChurch.Bible as a call-to-action. Communicating a message to people today is challenging in many ways. It often takes multiple messages sent repeatedly to get through for someone to sign up for your program. Not only is it hard to get a message through, delivering that message efficiently can take considerable effort too. Instead of undertaking the costs to develop a new app or a new website for content delivery and engagement, creatively using newly available tools can quickly solve a problem. H2O.Church needed a quick solution because of limited time and technology; they didn’t have the resources to build a solution from scratch. Let’s examine the problem more closely: H2O.Church wants to get people signed up to the church’s Bible reading plan. technology - how to deliver the content to people that respond? communication - how to quickly make the call-to-action? content - what is the Bible reading plan? H2OChurch.Bible also helps with communication by providing a memorable and short call-to-action. Memorable helps the message to stick. The shortness of the web address makes it quick to communicate. Can you see what’s great? H2OChurch.Bible is easy to say, to remember, to spell, to type, and to share. When people visit H2OChurch.Bible, they are automatically redirected to this month’s Bible reading plan. The content is curated and hosted by Life.Church’s YouVersion platform. 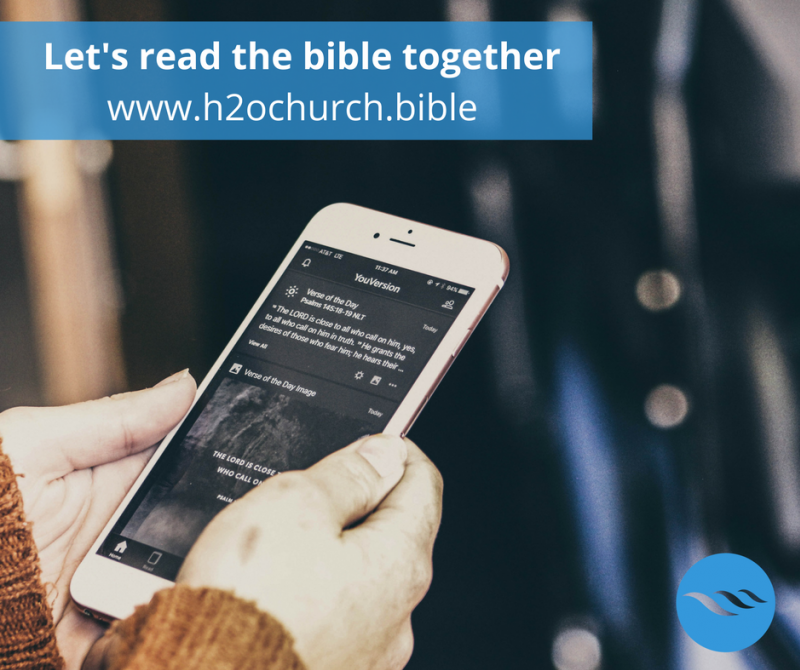 For people that have already installed the free Bible app, H2OChurch.Bible takes them directly to the selected reading plan. For people that aren’t using the Bible app, this URL works on any desktop or mobile browser. In other words, H2OChurch.Bible just works on any device seamlessly. To enhance the user experience, the church plans to create a one-page landing website to explain the vision for reading the Bible together as a church, to walk people through how to download the Bible app and to provide links for every month’s Bible reading plan. Now that you’ve read about how H2OChurch.Bible quickly gets one church to one destination for reading the Bible together, what kind of problem are you trying to solve that could be inspired from this example? The .BIBLE team is here to help—contact us for a free 15 minute consult.